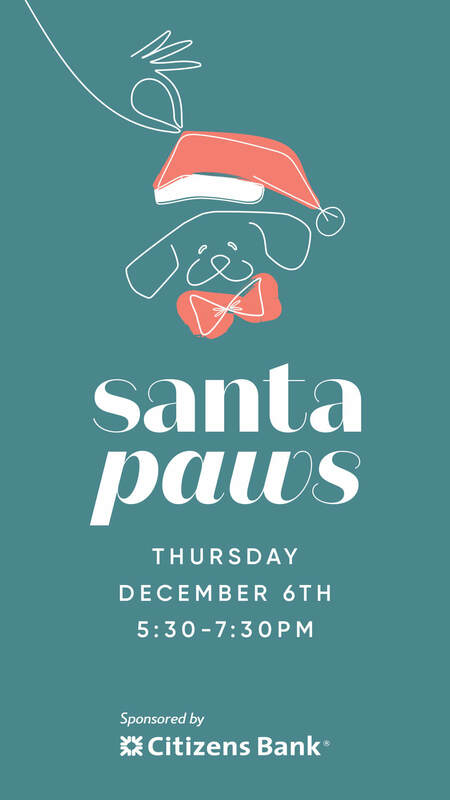 Grab your furry friend, dress up in your most festive attire and pose for complimentary photos with Santa. Guests will also enjoy holiday treats, giveaways and more. Entrance is complimentary, however guests are encourage to bring an item to donate to MSPCA – Angell, one of the country’s leading non-profit organizations dedicated to protecting animals and preventing animal cruelty. Most needed items include blankets, towels, sheets and soft bedding. More donation suggestions can be found here. Please note, all dogs must remain on leash while at Legacy Place.